Why See Peppa Pig Live? 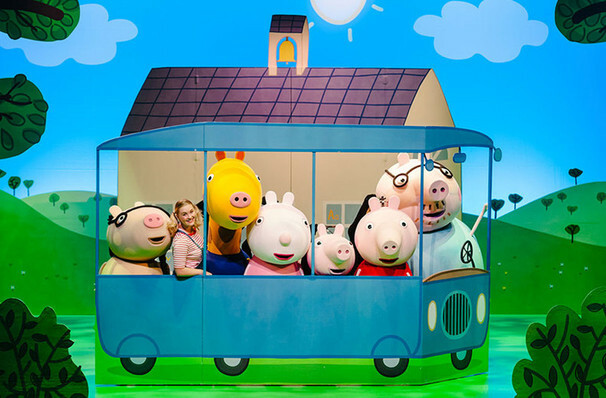 Peppa Pig, George and all their friends are hitting the road for an all-new tour, Peppa Pig's Adventure! You're invited to join the colorful gang on their all singing and dancing escapade full of games, songs and surprises! Featuring life-sized puppets of the beloved characters, it's fun for all the family to enjoy! 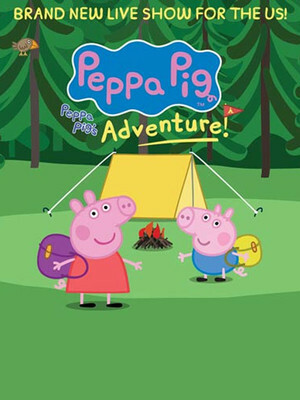 Peppa Pig and her brother George are super duper excited to head out on an exciting camping trip to the forrest with her friends Pedro Pony, Suzy Sheep and Gerald Giraffe. Their bags are packed with all the necessary outdoor gear as well as lunchboxes filled with yummy treats. Even Daddy Pig is coming along, he's the adult-in-charge driving the bus! 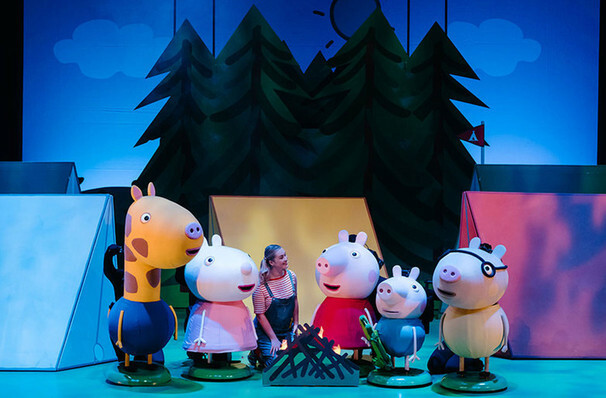 Packed with new songs, Peppa Pig Live promises to be the perfect theatre experience for all pre-schoolers. Sound good to you? Share this page on social media and let your friends know about Peppa Pig Live at The Chicago Theatre. Based on the hit film, and the true story of Elmore City, Oklahoma which banned dancing for 90 years, Footloose is back! This is an independent website not affiliated with the venue. 'The Chicago Theatre' as well as all associated graphics, logos, and/or other trademarks, tradenames or copyrights are the property of MSG CHICAGO, LLC and are used herein for factual descriptive purposes only. This website is in no way associated with or authorized by MSG CHICAGO, LLC and neither that entity nor any of its affiliates have licensed or endorsed us to sell tickets, goods and or services in conjunction with their events. The term Peppa Pig Live as well as all associated graphics, logos, and/or other trademarks, tradenames or copyrights are the property of Peppa Pig Live and are used herein for factual descriptive purposes only. We are in no way associated with or authorized by Peppa Pig Live and neither that entity nor any of its affiliates have licensed or endorsed us to sell tickets, goods and or services in conjunction with their events.